Ever since Robin Padilla met his grandson Alas Joaquin for the first time, the two became closer than ever. 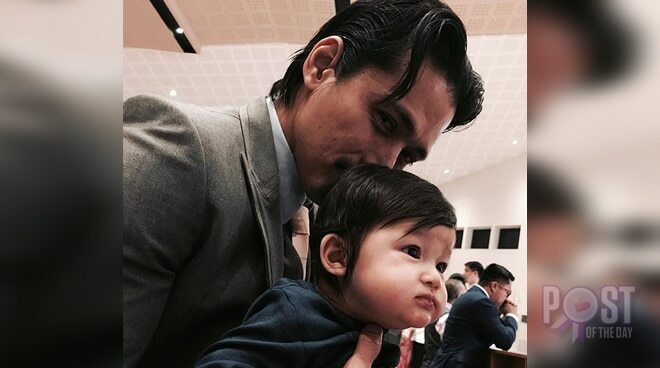 Alas Joaquin is Kylie Padilla’s son with actor Aljur Abrenica and Robin first met the baby at the birthday party of her daughter Maria Isabella last month. Kylie shared a photo of Robin holding baby Alas and wrote, “The Grandfather” on Instagram. In his previous interview with Boy Abunda, the 'Unexpectedly Yours' star lauded his daughter Kylie for being a hands-on mom since she didn’t hire a nanny to help her.